Challenge: Reconstruct Mercy Hospital Joplin with materials designed to withstand powerful tornadoes. Hospitals increasingly recognize the risk posed by moisture vapor emissions from concrete slabs. Surface preparation must abate worries about excessive moisture vapor emissions. In addition, because of the hospital’s vast size, the flooring system must be compatible with a variety of different materials. These materials must help meet the installation’s strict schedule. Solution: A variety of TEC® products provided the longevity and durability necessary for this state-of-the-art facility. Assurance: After considering several options, construction manager McCarthy Building Companies, Mercy Health System and flooring contractor Flooring Systems Inc. together decided that the TEC® system was the best choice for the new hospital. Flooring Systems Inc. was familiar with TEC® products and TEC® offered a 25-year warranty for its system. TEC® The LiquiDAM® Penetrating Moisture Barrier was used to cover 400,000 square feet of the hospital. 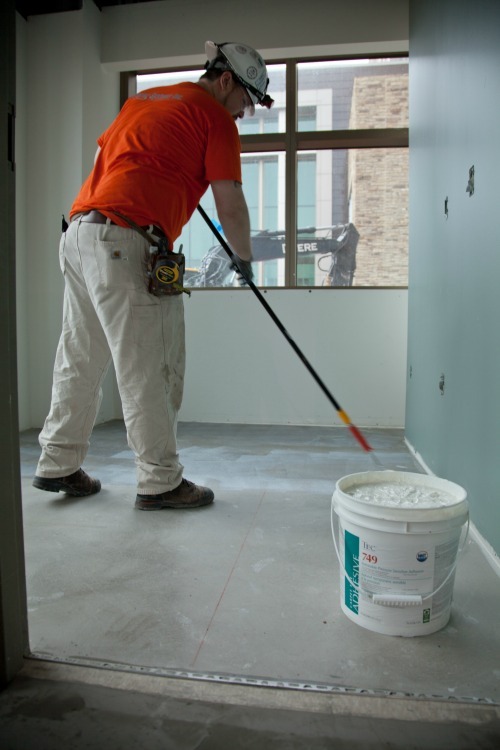 The cost-efficient moisture mitigation prevents flooring installation failures due to moisture problems, and allows for effective surface preparation. 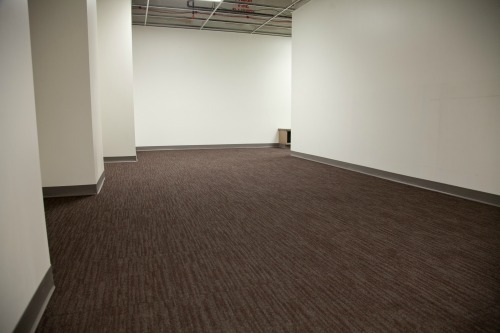 Variety: TEC® surface preparation products laid a smooth foundation for easy installation of a variety of materials – including carpet tile, which was installed with TEC® Releasable Pressure Sensitive Adhesive. Zickel Flooring used mortars and grouts to install other various tiles throughout the hospital—including restrooms and dining areas. TEC® AccuColor EFX® Epoxy Special Effects Grout was the obvious choice for strength, plus stain and chemical resistance while being installed. Timeliness: Time was essential on this massive project. Before the installation could take place, substrate variation had to be corrected. Although not built into the installation schedule, it was necessary for Flooring Systems Inc. to use TEC® Smooth Start™ Self-Leveling Underlayment to quickly correct imperfections, as it cures quickly and corrects up to 1” in a single pour, or up to 5” in a single aggregate. TEC® Fast-Set Deep Patch dries to a walkable hardness in just 60 minutes, and made it easy for various crews to move about the job site. “From a general contractor’s point of view, technical support is incredibly important. TEC® sends support directly to the job site.” -Jeremy Witts, project manager with McCarthy Building Companies. “TEC® HydraFlex™ dries quickly. It’s a time saver, because we can apply it over 3-day-old concrete,” -Justin Kilmer of Zickel Flooring. For more information on Moisture Mitigation, watch our video on how to prepare concrete for moisture barrier.